Another project has been added to the “How-to” pages: making a pair of buckskin garters. The introduction gives some background on garters with a strong Native American influence, appropriate for a native captive persona. The first page deals with the factors I took into consideration, cites a specific museum example collected in the late-18th century in Michigan and the step-by-step making of a garter of buckskin. Splitting the garter tutorial into separate pages leaves the door open to expand on leggin garters, perhaps a finger-woven set and quilled or beaded legbands. 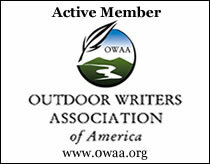 This entry was posted in Clothing & Accoutrements and tagged Dennis Neely, historical trekking, Mountain Man, Native captive, North West trade gun, Northwest trade gun, trade gun, traditional black powder, traditional black powder hunting, traditional blackpowder, traditional blackpowder hunting, Traditional Woodsman. Bookmark the permalink.